So, I started thinking maybe this was a sign that I’m not suppose to go to Italy. Then an idea popped in my head – “El Camino de Santiago de Compostela”. The moment it entered my brain, it would not leave and kept giving me those wanderlust butterflies. Within a few hours I was online googling and sending a text message to my friend, Holly, who has experienced “El Camino” twice. Within a couple more hours, I was obsessed and had already looked up train schedules, maps, books, weather and rented the movie, The Way. Italy, who? I know what your asking yourself – What the heck is “El Camino de Santiago de Compostela”? The “El Camino de Santiago de Compostela” (known in English as “the Way of St. James” or in French as “le Chemin de St. Jacques de Compostelle”) is a group of paths, throughout Europe that people (pilgrims) have been walking for thousands of years. These paths all lead to the amazingly beautiful cathedral in Santiago de Compostela, Spain which is dedicated to the Apostle James. 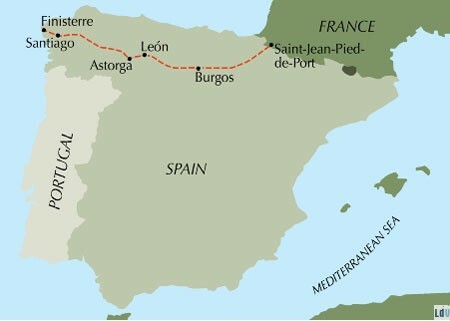 The path I will be taking is conveniently called “The French Way” and starts in St. Jean Pied de Port, France, 800km (500 miles) east of Santiago de Compostela. This particular path is also said to be the most important Christian pilgrimage in the Western world. Who is St. James, anyway? He was a BFF’s of Jesus and one of his first apostles. James is the patron Saint of Spain, so, of course, the Spaniards adore him. He was a pretty good fisherman. JC himself gave St. James and his brother, John, (also an Apostle) the nickname, “Sons of Thunder”, because of their “fiery tempers”. James was the first martyr in the name of Jesus. 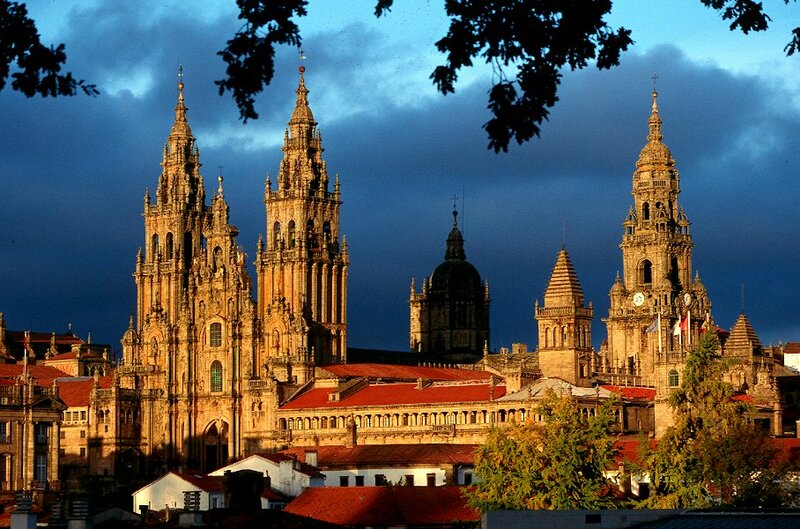 After his death his body was sent to Santiago de Compostela, Spain. There is a rumor that the body never made it, but, nonetheless, the city has a shrine (the cathedral) dedicated to him. I know, I know, I know, let me explain. The “El Camino” is not just for the religious. Along the way, I will meet people who are walking for a variety of reasons, purposes, goals, causes and probably some people who are doing it because they feel like it. 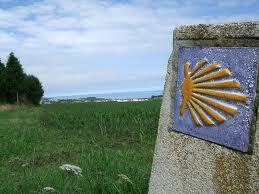 The only requirement for the El Camino de Santiago de Compostela is a purpose. So, really, what does this mean? I will follow the shells throughout Spain. I will carry my clothes, sleeping gear, toiletries, etc. in my backpack (weighing no more than 14lbs). In St. Jean Pied de Port, I will be given a “Pilgrim Passport” which allows me to sleep, eat and shower in the (mostly Church run) pilgrim only hostels. The path is indicated by little arrows and shells throughout the Spanish countryside. I know. This might be the smartest, coolest and/or stupidest thing I’ve ever done. Note to Mom: I’ll have a cell phone for emergency purposes and also plan to update this blog along the way (internet connection permitting). I’m not sure when I’ll have the opportunity for something like this in the near future. A voyage like the “El Camino” seems (nearly) impossible with a job and kids. So, I’m taking this last opportunity to be a bit of a free spirit, unplanned, adventurous and to hopefully satisfy (or tame) those little wanderlust butterflies that are constantly floating around in my tummy. And for your viewing pleasure, here is the trailer to the film, The Way, which takes place on the El Camino de Santiago de Compostela. A final note to Mom: Don’t pay any attention to that part about the kid dying. They did that for dramatic effect.